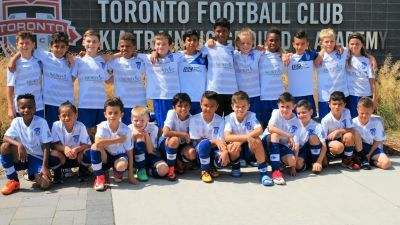 TORONTO - June 15, 2018 - PRLog -- Milton Youth Soccer Club 100% supports the United Bid of the FIFA 2026 Event. However, as a community we are 10 years behind in our infrastructure to support our current registration of youths. "We plan on having players from Milton Magic on the roster for Canada at the World Cup 2026" said Miles O'Connor, Technical Director at MYSC. The Milton Youth Soccer Club home of the Milton Magic the regions 2nd largest soccer club with program with over 5000+ members would like to congratulate Canada USA and Mexico on the joint bid for the 2026 FIFA World Cup. This has been something in the making for many years and having Canada be a part of something this great is exciting for our multicultural Country. Bringing the World Cup to North America makes great sense from all sides. Soccer is the number one sport in the world, and to bring the World Cup to Canada it is a great thing for the sport and FIFA. Soccer is the number one team sport in Canada for kids under the age of 16 and in the city of Milton we have grown from 1 soccer club to over 5 clubs in the city. If you just look at Youtube and search for Messi, Neymar, Ronaldo you will see the 10's of millions of views that these athletes get. Soccer is an affordable sport for all ages, and easy to learn for kids. We just wish the city would recognize the growth and benefits of soccer for children. Soccer is a fun, safe, and confidence building sport for all ages. The timing couldn't be better for Milton Youth Soccer Club. • As a club we go from utilizing 15+ fields during the summer months, to 1 field during the winter (October to March). As a club we expect soccer registration to keep going up over the next 10 years and as a town we are not ready for the growth. Our town has prioritized hockey over soccer and it shows by the amount of investment in hockey facilities. Our fields could be better but without support it is difficult to get the ear of local politicians.